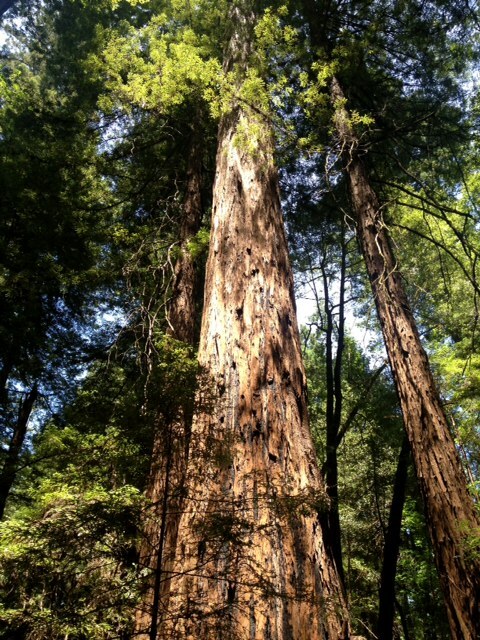 Today we thought we'd check out the Armstrong Redwoods State National Reserve just north of Guerneville. 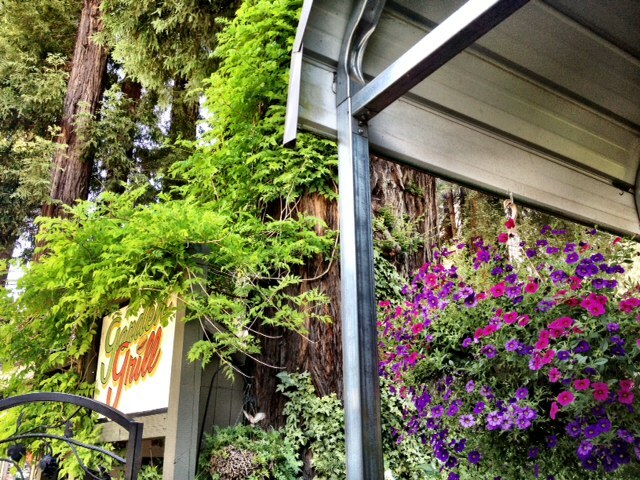 We stopped at had lunch at a spot called the Garden Grill in Guernewood. Food was great! We had bbq sandwiches and a salad and some garlic fries and everything was fresh and delicious. Beautiful outdoor patio, too. 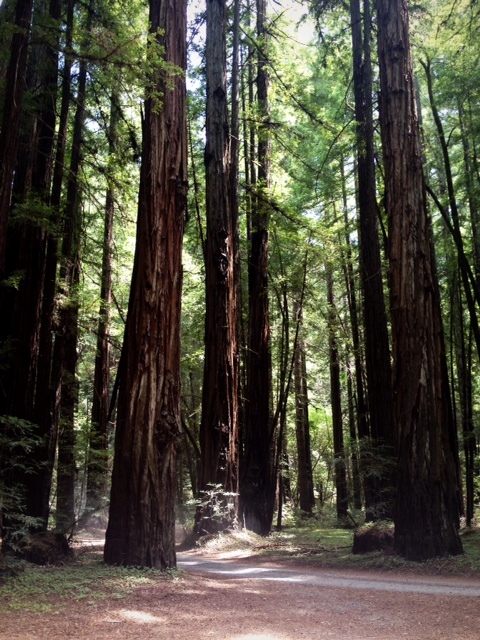 We headed to the redwood grove and when we got there, it was 101 degrees. When we left Bodega Bay it was 61 degrees. That's a 40 degree increase, 10 miles inland. Crazy. We hiked a bit, and yes it was in the shade, but whoa it was still super hot. We headed up the steep trail and after a while decided that we'd turn around, since we didn't really pay attention to how long it was or if it was a loop. We did have water with us, so that's a plus. Came back to the Airstream, showered, and went over to the fish market at the Tides and picked up some fresh local salmon and some prawns for dinner tonight. Then we stopped at Gourmet au Bay and surfed some wine and said goodbye (temporarily) to Bob and Sissy. It's a beautiful evening here in the bay tonight, and not very windy at all. I think we'll grill some fish and then make a big fire. Heading north tomorrow…aiming for Patrick's Point State Park.